Have a question? Contact our experts! Over the years, business trends and needs have greatly evolved. As time went by, newer and better solutions have been in demand in order to cater to this need and keep up with all the new trends and practices. In this case, we want to highlight a particularly important item that is necessary in today’s business world…Automated workflows. An automated workflow is defined as a set of steps dedicated to reaching a specific result, in this instance, an automated way of getting work done in your firm. Workflow automation software avails a number of tools for achieving the goals in question, one of the important ones – forms. Forms in workflow software play a number of roles and we’re going to touch a bit more on them below. This would be the first thing most people would go for in this case. Most paper forms include a lot of fields that eventually just bloat the system with unnecessary information. As such, a thorough understanding of the information needs you have would go a long way in ensuring that these forms are designed to capture only what you need. As is the case with many current forms used in companies. 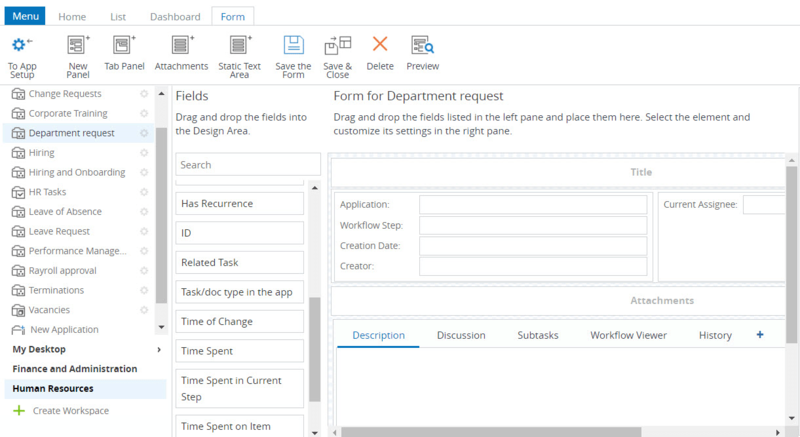 Forms in workflow software should have minimal approval needs I.e. approvals should only go to the most essential personnel involved in whatever task is at hand so as to avoid creating a bottleneck effect in the system. I.e. creating forms that can’t be easily edited so as to cater for new information needs or doing away with some fields that are no longer necessary for the workflow process. Since they work in a software environment, all information can be captured, stored, handled and distributed electronically without the need for bulky and messy paper forms. Well-designed forms, as mentioned earlier, are designed to include only the required fields of information. Seeing as how they can also be customized any time, fields that are no longer needed can be easily edited out and also newly required fields can be included in the forms. Such forms increase the convenience of getting work done by your employees. As such, they would appreciate their use, their simplicity and efficiency eventually increasing overall productivity for your company. In an age where information and data is a major driving force behind the success of companies or organizations, a scalable mode of capturing and manipulating data is needed. Workflow forms allow for exactly this since they can handle more data as needs increase, which is an inevitable occurrence anyways. Having these in place ensures you can handle the large-scale data whenever anytime. 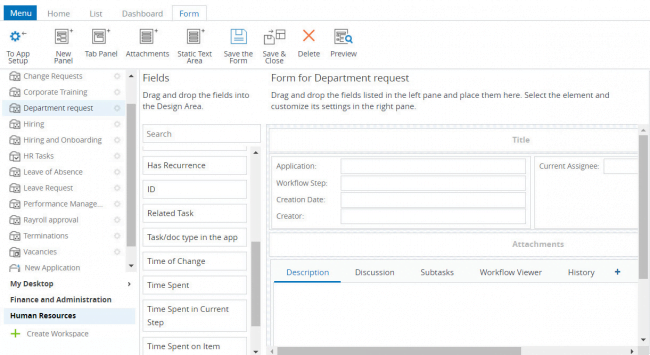 Workflow forms have the ability to validate data as soon as they’re keyed in. This ensures fewer error occurrences in your information pool. Forms allow for data and information capturing at a very fast rate. When the need to address security or audit compliances comes, forms play a key role in identifying the source of unnecessary or false data within the workflow. Automated workflows are a must-have for the successful and efficient operation of companies. Their efficiency here is seen to be heavily tied with having proper forms in place within it and as such is one aspect needing careful consideration so as to achieve the expected levels of productivity. Comindware Tracker makes it a snap to create workflow forms and adjust them as needed without IT-guys help. Design proper forms and use them for capturing all the data required for workflows, e.g. for approval, request or order handling workflow. Elena Haidukova is an Online Marketing Manager at Comindware Inc., and a passionate advocate for empowering executive managers onward to workflow automation and running their businesses effectively. Comindware Tracker got 4.9 out of 5 stars from its users for customer satisfaction. 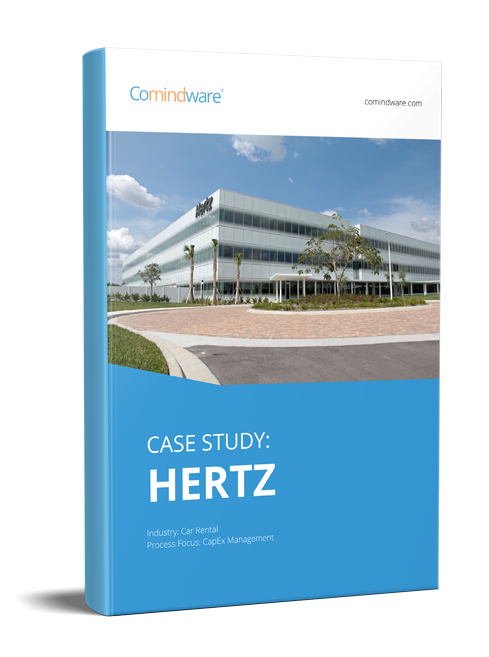 Learn how Hertz streamlined and automated CapEx approval workflows across 9,700 locations in 150 countries. Tired of Tracking Stuff in Excel? Try the Workflow Tool That Works! What is Visual Workflow Management and How Can It Help Your Business? Comindware Video Tutorials. Part 1. Organizing Marketing Team Communications: Do Your Workflow and Tools Add Up? © 2009-2019 Comindware Inc. All rights reserved. A cookie is a small file placed onto your device that enables website features and functionality. A cookie is a small text file that a website asks your web browser to store on your device in order to remember information about you, such as your language preference, and enables a website features and functionality. At Comindware, we believe in being clear and open about what data related to you we collect and how we use this data. And this policy provides detailed information about what cookies we collect and how we use data related to you. This cookies policy applies to Comindware website. Ensure your personalized experience and proper website work. Always active cookies help us with giving you a personalized experience and cannot be switched off in our system. You can set your web browser to block or alert you about these cookies, but some parts of the website may not work then. Are used for continuous website optimization and improvement. Performance cookies help us with continuous website optimization and improvement. This cookies make it possible for us to count website visits, track traffic sources, learn which pages are the most popular and helpful and see how visitors navigate around the website. All the data these cookies collect is aggregated and therefore anonymous. Enable functionality enhancement, such as videos and live chats. Functional cookies allow functionality enhancement, such as videos and live chats. If you do not allow these cookies, then some or all of these functionalities may not function properly.